Sometimes you have to laugh at the Sunday Independent in Ireland and their attempts to continuously denigrate Sinn Fein. Their latest effort comes today with a lurid story about Sinn Fein spending massive amounts of money in America on their annual fundraising efforts here. The two funniest descriptions are of the Astoria Manor in Queens, which everyone knows is a very basic down meat and potatoes outer borough catering hall where humble Irish organizations such as county associations pay about 100 dollars a plate for events. 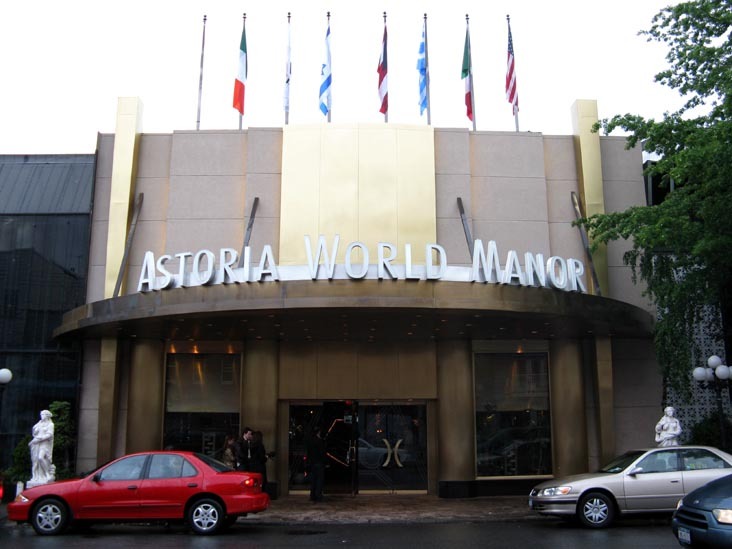 This is transformed into the "luxurious elegance at affordable prices" Astoria Manor which will come as a great surprise to those of us who frequent the Irish dinners there every year. As the accompanying photograph shows it is hardly the Ritz. The other laughable one is the description of the Manhattan Club catering hall upstairs from Rosie O'Grady's as 'ultra swish'. It is an honest to goodness venue for many Irish organizations who cannot afford fancy Manhattan prices. To describe is as 'ultra swish' is downright hilarious. Then there's the dinners that Sinn Fein personel had at Bobby Van's the upmarket eatery. A quick check would have revealed that Bobby Van's is owned in part by Joe Smith, one of Sinn Fein's biggest suporters in the US and a Belfast native. Likewise with the Harbor Lights restaurant which is owned by the Delaney family, long time supporter of Gerry Adams. The Affinia or Sheraton Hotels where Sinn Fein personnel stay are decent mid market hotels in Manhattan, far from the depiction of them as luxurious. As usual the devil is in the details in these stories.